The Parlor Palm brings instant style and summer feels all year-round. It’s easy to care for and does well in low light. This popular indoor houseplant makes for a perfect gift or starter plant, and sits well as an accent on any desk or shelf. Also known as the Neanthebella Palm, the Parlor Palm features long beautiful fronds that arch over once matured. This plant is a slow grower and stays about the same height and shape with consistent care. Follow the instructions below and you should not have problems with your Parlor Palm. 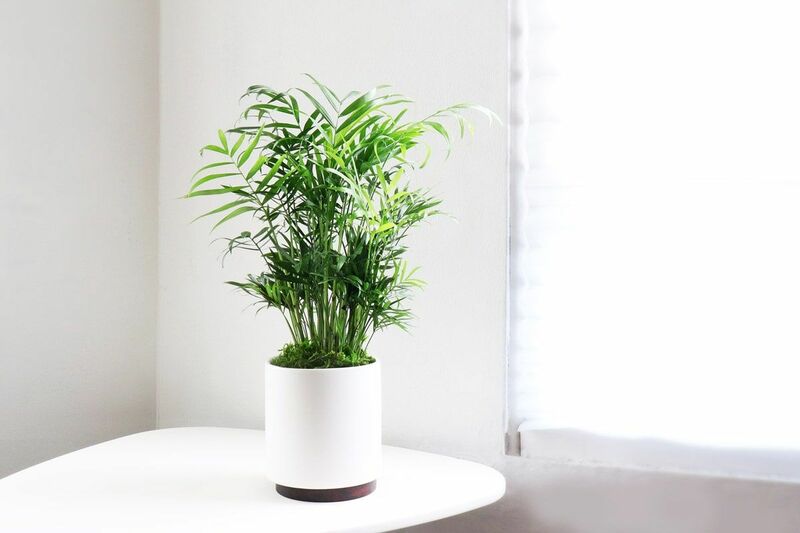 The Parlor Palm thrives in areas with medium light, but is adaptable and can even handle low light. Be sure to avoid prolonged exposure to direct sunlight as it can burn its leaves. 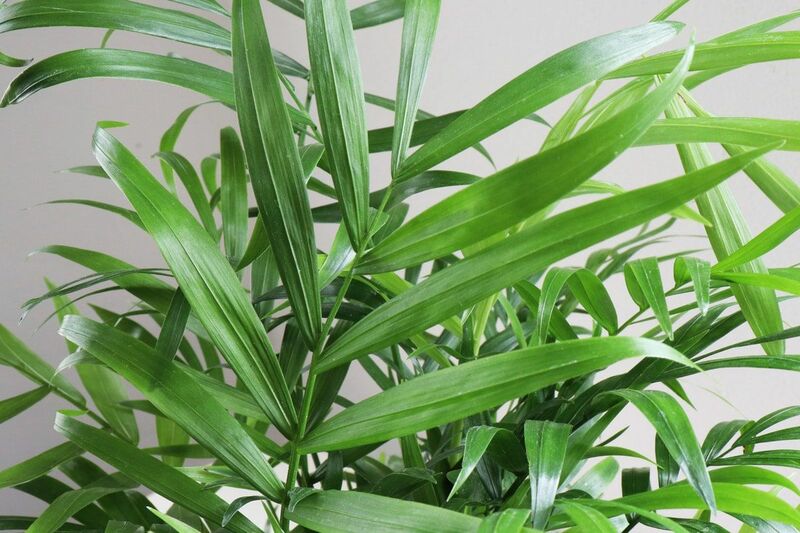 The Parlor Palm needs to be watered about once a week, but always check the soil first to see if it's dry. Do not water if soil is still wet. The best way to give it water is to take the plant out of the decorative pot, thoroughly water it and let all the excess drain before putting it back. As with all plants, avoid overwatering and drain any excess water from the bottom of the pot, as standing water may cause root rot. If the plant is overwatered the leaves will turn brown, if it is underwatered they may turn yellow. Trim away any dead or dying fronds by cutting them off at the base of the leaf's stem with a sharp scissor. Write us at hello@leonandgeorge.com with any questions about your Parlor Palm not covered here.